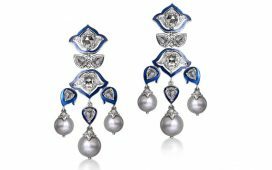 Trigem Opens Gemstones, Diamonds and Jewellery Facility in DMCC. DMCC, the world’s flagship Free Zone and Government of Dubai Authority on commodities trade and enterprise, today attended the official opening of TRIGEM’s manufacturing workshop in DMCC’s purpose-built Jewellery & Gemplex facility in Jumeirah Lakes Towers (JLT). 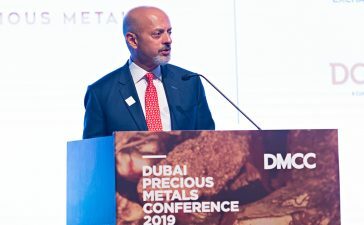 TRIGEMDMCC has launched its purpose-built coloured gemstone, diamond and jewellery operations in Dubai, focused on providing a global, vertically integrated supply and distribution centre. It will provide customers with a one-stop-shop that begins with sourcing rough gemstones and diamonds, through the value chain of sorting, cutting and polishing, to bespoke jewellery services, should they require it. TRIGEM chose to set up its global operations hub in DMCC owing to its strategic geographical location and position as a leading global commodity trading location. DMCC comprises state-of-the-art facilities, implement international regulations and best practices and offers products and services that directly support organisations in the commodity sector to foster growth and facilitate global trade. TRIGEM is uniquely positioned as a vertically integrated gemstone, diamond and jewellery business that can service local industry as well as international clients. There are currently more than 1,000 diamond, gemstone and jewellery companies operating in the DMCCFree Zone, making Dubai one of the leading commodity trading marketplaces in the world. Its main portfolio of trade flows includes gold, diamond, tea and agri-commodities. Coffee will soon be added to the list.